Esther Weir Stedman was born in Hot Spring, Alabama, the daughter of Lenora Weir and David Samuel Stedman. Lenora and David never married. Instead, they attempted to conceal the pregnancy that occurred while they were working in a logging camp in Bradley County, Arkansas. Very soon after discovering her pregnancy, arrangements were made for Lenora to leave the logging camp and move to Hot Spring County where she lived in exiled secrecy until giving birth. After giving birth to daughter Esther, a series of events took place regarding Esther’s care and guardianship. Those events are chronicled here from abstracts of various court records regarding the same. 1881 Sept. Matilda Adams dies in Magnet Cove . What happens to all the children in her household? Where did Zilpha live after death of Grandmother? 1882 May. Zilpha Bailey married Samuel P. Owen in Butterfield, Hot Spring, Arkansas. 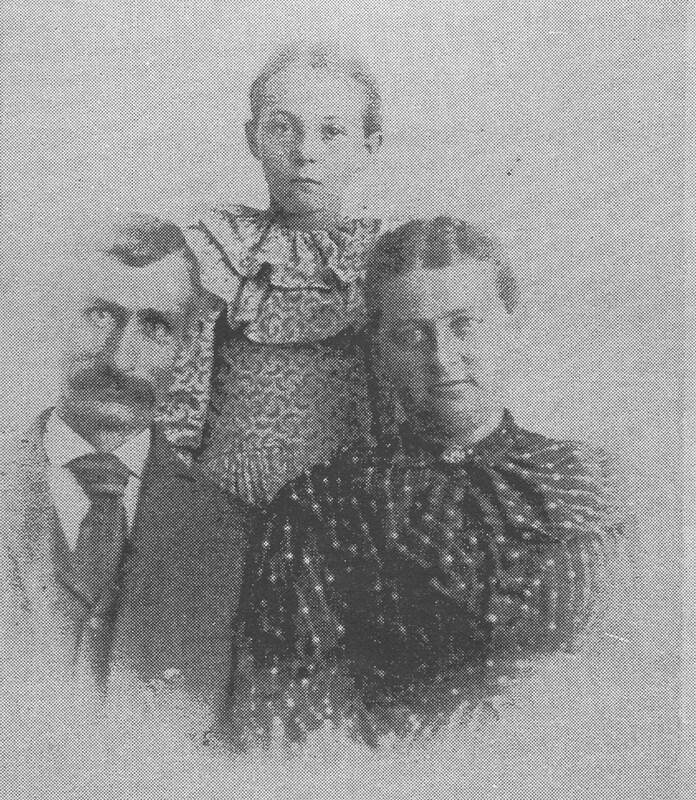 Zilpha’s parents Henry Bailey, born about 1831 & Elizabeth Adams, born 10 Oct 1853. Grandparents William Bailey, born about 1785 & Mary Bradwell. Do they stay in Grandmother Matilda’s farm to live? If so, they live next door to J. H. Adams. 1882 July. Lenora Weir is pregnant and sent to Hot Spring to “hide out”. Whose household does she “hide out” in? J. H. Adams? 1883 March 18. Esther Weir is born. Mother Lenora is daughter of Levi Weir and Sarah Maxwell (1826 – 1861). Sarah Maxwell died in South Carolina. Levi’s 2nd wife is Martha J. Knight. Weirs are living in Hot Spring, Arkansas at time of Esther’s birth. 1887 Oct 11. Levi Weir is convicted of assault and battery for beating Mollie Turner with a stick. Bail of $150 required. 1889 J. H. Adams pays $2.05 in Bradley County for minor heirs of Levi Weir. The document shows the property Esther Weir will inherit after the death of her grandfather, Levi Weir. Is this the J. H. Adams of Hot Spring? 1890 July 30. Levi Weir is shot and killed by Jerry Frazier in Bradley County, Arkansas. The murder occurred a short distance from the Weir residence. Weir lived 15 minutes after being shot. Told his wife Jerry Frazier killed him. No witnesses. There are various rumors in circulation – ugly features of the case. 1891 Jan 22. Martha Weir appears in court. Her deceased husband, Levi Weir, owned valuable land & other property and she does not desire to be administrator of the estate. Martha Weir grants 40 acres to each of her following heirs: Dixon Weir (son of Levi Weir & Sarah Mawell); Esther Weir (granddaughter of Levi Weir & Sarah Maxwell); James S. Weir, Columbus Weir, & Mary L Weir, children of Levi Weir and Martha. Martha then petitions court to be appointed guardian for James, Columbus & Mary Weir. Court agrees. 1891 Jan 22. Court appoints J. H. Adams guardian of Esther Weir and empowers him to have care of his ward, and possessions and management of her estate. Court levies $300 bond for said action. 1891 Feb 2. Inventory of Estate of Esther Weir of Hot Spring; made and presented by J. H. Adams, guardian. 1891 Feb 5. Received of D. S. Steadman; $1.00 as guardian of Esther Weir. 1891 Feb 5. D. S. Steadman petitions for letters of guardianship for Esther Weir of Hot Spring. Pays $125.00. 1891 Apr 27. Court awards property of Levi Weir to heirs. 1891 Apr 27. J. H. Adams resigns as guardian of Esther Weir. 1891 Apr 27. Court appoints D. S. Steadman guardian of Esther Weir. 1892 Feb 8. D. S. Steadman, guardian, pays J. H. Adams $2.00 for keeping house. Note: D. S. Steadman remains guardian of Esther Weir even after Samuel & Zilpha Owen are contracted to provide foster care of Esther Weir. Chad: This looks great and provides an insight to Esther’s childhood life which was nothing but tragic. The sad thing is that it would have been helpful for all of us to have known a little about her family challenges. I don’t really think grandpa & his sibliings really knew. Without question, she was a remarkable woman and I am proud being one of her grandsons. I wish we knew more about her experience with the Owens Couple, but I guess that time will come. This blog is nothing but a golden treasure that will have a tremendous impact on all of our family. These words a simple, but expressed with a deep emotional feeling of my heart….THANK YOU!!!! !